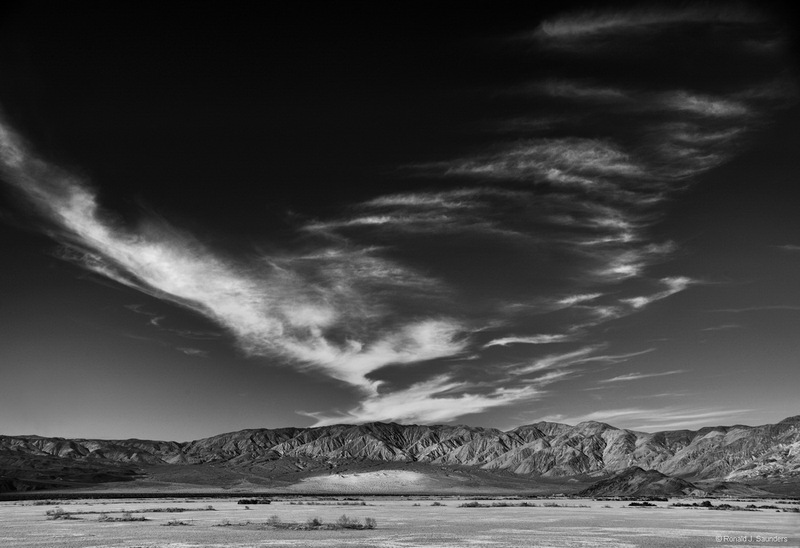 The Panamint Dunes are one of the least visited dunes because of the bone jarring road to reach them. I elected to take this image from the playa in order to capture the unique cloud formation. I have intentionally minimized the proportion of the dunes as sort of a paradox. I hope you catch the drift, so to speak. Photo © copyright by Ronald J. Saunders.